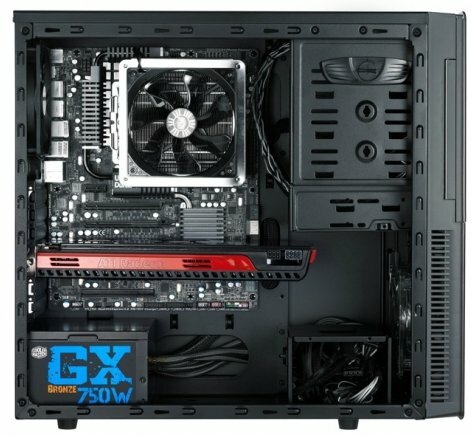 Cooler Master reveals the Silencio 450, a new case that promises low noise production. The full features and specifications of the case can be found over here. It has a side panel and front door with noise absorbing foam, two silent fans, noise dampening grommets for the HDDs, and rubber feet. Other nice features include removable HDD cages, easy access to dust filters, support for graphics cards as long as the Radeon HD 6990, a SD memory card reader and USB 3.0 support. The case will soon arrive in retail stores for just under $60. 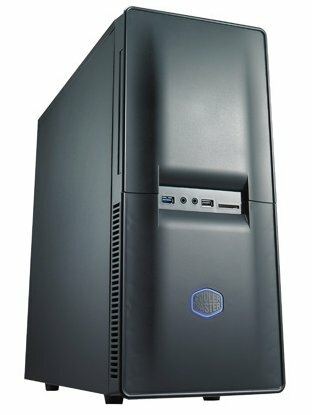 Cooler Master, an industry leading chassis, thermal solution, power supply, peripheral, and accessory manufacturer, today adds a new sibling to the Silencio Case Series, the Silencio 450. The Silencio Series represents the best solution for sound absorption with system builds of all levels. Sound silencing foam padding seeks to severely reduce system noises produced by hard drives, numerous cooling fans, and other devices. Combine this with a solid-steel frame, vibration inhibiting rubber feet, two Cooler Master quiet-spinning fans and the Silencio 450 nearly becomes completely silent. Those that value a quiet computing space will immensely appreciate the Silencio Series. Look beyond the modest exterior of the Silencio 450 to find a clean, intuitive, and spacious interior. Three 5.25”, six 3.5”, and one 2.5” hard drive bay are set inside a solid steel frame. An easily-removable hard drive cage allows users to mix and match various hard drives for maximum flexibility and drive space. Removal of the included hard drive cage opens the door for the possibility of installing high-end graphics cards such as the AMD Radeon HD 6990 or NVIDIA GTX 590. Super Speed, backwards-compatible USB 3.0 and a versatile SD card reader provides users with several ways to connect data on-the-fly. A surprisingly efficient intake-exhaust cooling system throughout the interior provides for maximum airflow. Dust filters protect precious system components from potentially dangerous dust build-up over time. These can be accessed quickly for easy maintenance. Users taking the next step in silent cooling may opt for a custom watercooling setup. The Silencio 450 includes rear retaining holes that support optional water cooling radiator installations. A switchable door hinge creates an added level of convenience as well. A clean exterior design, brimming with features and reasonable price make the Silencio 450 the perfect silent partner for any enthusiast. The Silencio 450 will be available at online and retail locations worldwide October 2011 for $59.99 MSRP.